This past weekend I wanted to make a yummy dessert for visiting family, but was short on time. I needed something that would come together quickly, but still be festive and delicious. 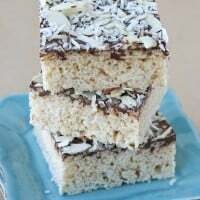 My sister-in-law declared these to be the best rice krispie treats she’s ever had! And I think everyone else loved them too, because the plate was empty by the end of the night. 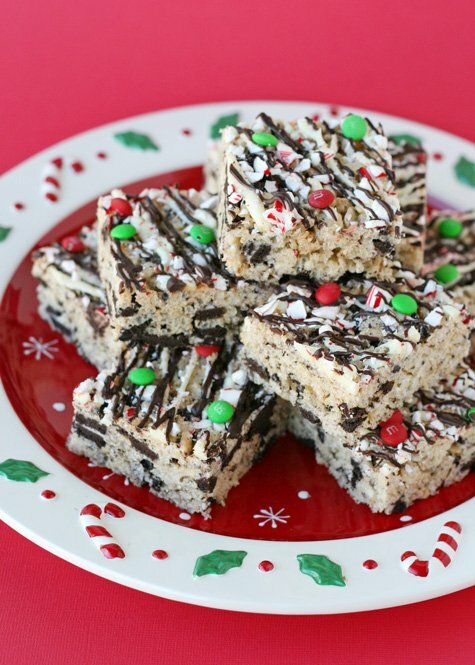 Dress up traditional rice krispie treats with chocolate cookies, peppermint and festive candies. 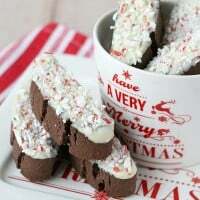 I used Trader Joe's brand Candy Cane Joe Joe's Cookies for this recipe. They are delicious and I highly recommend them. If you can not get ahold of those exact cookies, feel free to use regular oreos, or mint oreos. These are a perfect quick treat that travels well, and can be packaged up as sweet little gifts. Love rice krispie treats? I have several other cute and delicious variations filed with the Brownies & Bars (here). These are absolutely beautiful, Glory, and make me wish AGAIN, that I was your neighbor! gorgeous and delicious!!! Love that plate too! Love Krispie treats – they’re so much fun and super easy! Oh my what a yummy picture to wake up to! They would be gone in minutes in my house! GORGEOUS!!! So festive and yummy. These look incredibly decadent! And fun! I bet kids just gobble them up! Talk about dressing up a rice krispie treat for the holidays! These are beautiful. Fancy!! I love that these package up well and are pretty too! What a wonderful idea! I LOVE Candy Cane Joe Joe’s so this is one recipe I will be trying soon! What a festive holiday treat — to give as gifts or to serve at a party! i am so glad you’re back! i always love visiting your blog! these look amazing – i think my kids will love me forever if i were to make these! oh these sure do look YUMMY! oh these look amazing, just the thing for a krispy treat lover. Yum! I’m glad I checked your blog because I had forgot to print this recipe out before. 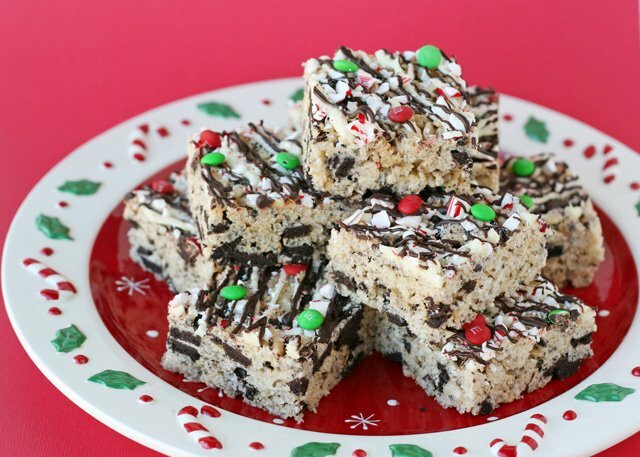 I love rice crispy treats and these look like the ultimate Christmas rice crispy treat. Love you! I found this recipe on Pinterest and shared it on my blog. I am really excited to make them this weekend! 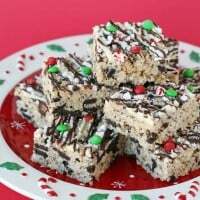 I never would have thought to add Oreo (or Joe Joes) to rice krispie treats! YUM! This is a fun recipe. 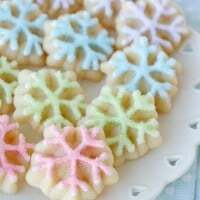 Everyone loved the holiday twist on one of our childhood favorites. 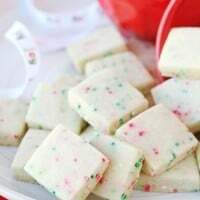 I used peppermint flavored marshmallows that ai found at Target. It added an additional layer of peppermint flavor. Little confused, did you use plain Oreos or mint/peppermint Oreos? I use “Candycane Joe Joe’s” from Trader Joes. You could certainly use plain oreos if you like, I’ve made them that way as well and they are delicious too! Happy Friday and keep on desserting!